This Autumn I finally got everything right and managed to sit down and eat at Vinegar Hill House. I loved that place long before I had ever set foot there. Why? Its the whole setting. Even if the Vinegar Hill neighborhood is well known it feels like a hidden treasure that can be easily missed if you don’t know where it is. It makes me feel like I have found something for the first time even if I haven’t. On my first visit at Vinegar Hill House one of the dishes was Duck Egg Raviolo with chantarelles. I learned later that Raviolo is singular for ravioli. I also came across the amusing dish Uova da Raviolo, which is a raviolo that holds a whole egg yolk inside. I’m impressed as that is probably something my shaky hands can’t do. The raviolo at Vinegar Hill House was nothing like the above. 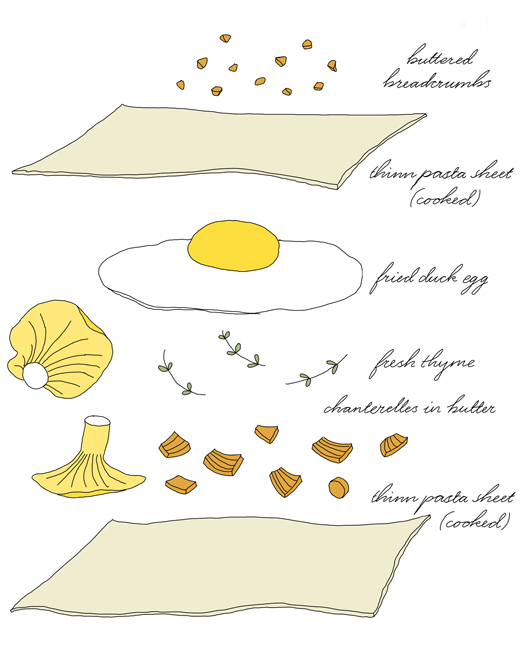 The filling, chanterelles and a fried duck egg had been cooked separately from the pasta and put together in layers as in the illustrated diagram above. The dish was topped with buttered bread crumbs. The duck egg was perfectly cooked with a white just set and a gorgeous looking egg yolk that burst when I poked my fork into it. The runny yolk blended well with the butter-rich chanterelles. I think this dish was wonderful. 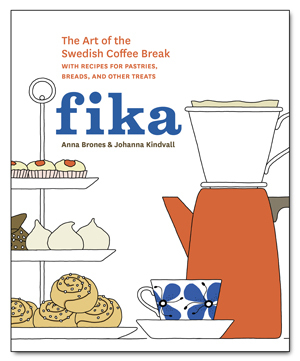 I could easily have it again and again, as a main course, for lunch or brunch.